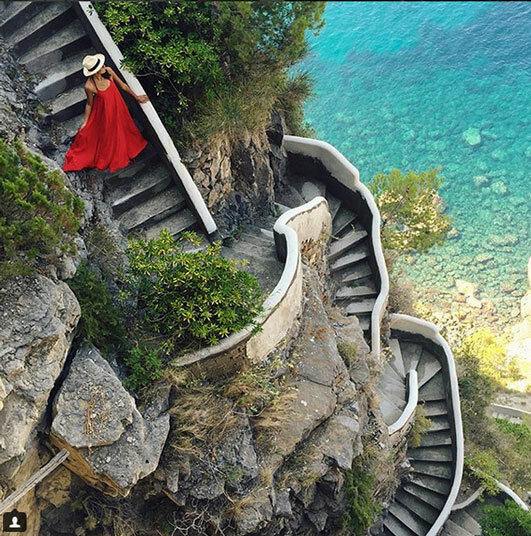 It was a good thing I was on vacation--off the coast of Hvar, Croatia, to be exact--when I discovered 100 Grams of Sun's Instagram account, otherwise I would have died from a lethal case of wanderlust! Brooklyn-based Nanda Hampe chronicles her far-flung adventures across the globe, sharing exquisite images of awe-inspiring locales with personal style to match. 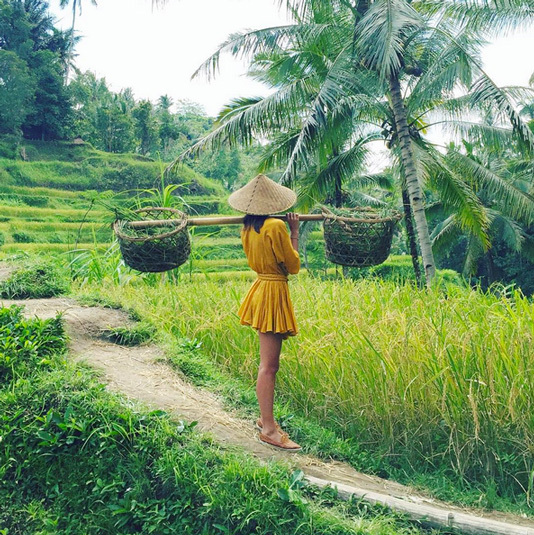 Take, for example, her Rhodes Resort dress which harmonizes quite beautifully with Bali's verdant rice fields. 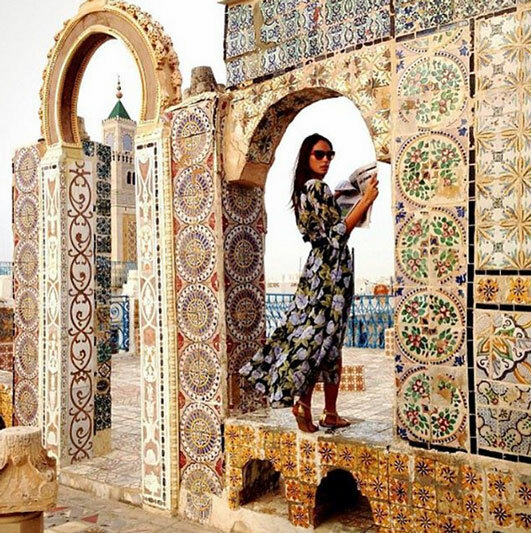 Seems to me her secret for vacation dressing success boils down to vibrant hues and prints that can hold their own against breathtaking backdrops. Pieces like these from Yumi Kim, Zimmermann, Asos, Frame and ALC! I say wear them back in reality to feel just a little more glamorous!